Janet Dawson was one of the most important pioneers of non-objective painting to emerge in Australia in the 1960s. 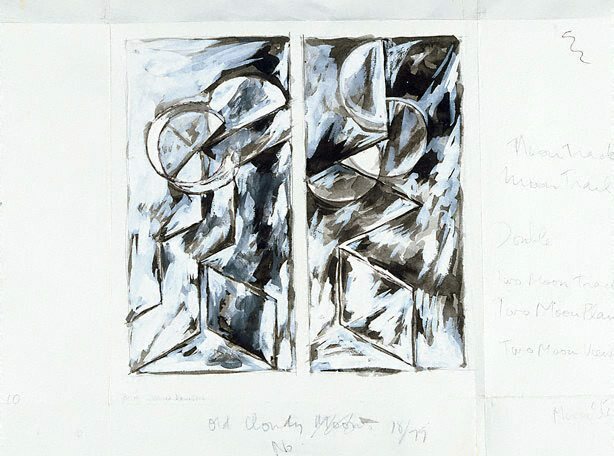 Returning to Melbourne in 1960 after studying in London, Paris and Italy, Dawson's use of simple shapes and pure colour was in stark contrast to the work of other artists working in Australia at the time, such as the Antipodeans, and the inclusion of her work was critical in the historic 'The Field' exhibition in Melbourne and Sydney in 1968. In the early 1970s she moved to Binalong near Canberra to live and work. The landscape of her new home presented her with a number of visual challenges, to which she responded with abstract analyses of space and form on canvas. The 'Foxy Night series' was the product of Dawson's rural experience. "These paths at night often cross, foxes attack pet chickens, insects eat cultivated vegetables. These paintings, like the moonlight, have an element of 'foxiness', of shifting light and ambiguity ... the surface is pulled and pushed in space, and just as moonlight creates changing optical illusions in nature so the painted surface is sometimes reinforced, at other times, denied, by the perspective effects created by the simple linear shapes". Signed and dated l.l., pencil "78/79 Janet Dawson".